My interest in diabetes sparked the two following shameeahs, the sugar and pancreas. 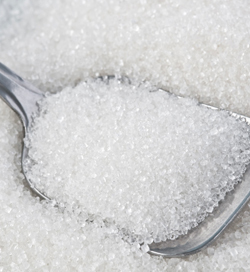 In order to find new ways of dealing or even healing diabetes, I knew that I had to experience first sugar itself, the substance that causes so much trouble, and secondly I needed to understand more about the pancreas, the organ being affected. For the sugar shameeah I chose to use the plain white sugar (Saccharum raffinatum in Latin). In the lower energetic levels C1 to C3 the themes were flowing into each other and not clearly separated. So I do not describe each of them by itself but write about them together. Everybody experienced sleepiness, tiredness and a lack of energy. We were bored. “I feel like in a stupor, like being drugged into a fake bliss.” The sleepiness had a childish character. Thoughts were restlessly wandering, “jumping around”. “I am unable to focus, to concentrate.” Everything was disconnected. Conversations were fragmented like a broken mirror with sharp splinters (dream), sentences were disrupted into pieces, thoughts were without an inner thread holding them together. It was not possible to perceive a bigger picture, to understand how things connect and make sense. “I cannot see clear, cannot make decisions.” Like seeing a few letters but not being able to read the word; like hearing words but not recognizing the sentence. “I am very discontented with everything, discontented with an underlying hidden irritability or even anger.” There is an aggression without strength. “I am friendly but inside I’m not. It is a lie.“ Sugarcoating something, hiding the bitter and painful truth. Images of business came up, people getting something and others did not. The business is not honest. It’s the American dream: Fast money and easy success. “I am aware that someone has to pay the price for my easy life. I look at these people in poor countries but I do not feel sorry, I have no compassion. I am actually getting angry about it. I am pouting like a child. Someone wants to ruin my fun game. I also do not care if it is unhealthy or not. I want it, that is all that counts for me, and I want it now. I do not care that I might have to pay the price later.” It is a childish, immature selfishness. Several others had images of slavery, of people being treated brutally, being abused. “Sugar – no effort needed. Even in digesting and metabolizing there is no effort involved. We are given things for free; the price we’ll have to pay later. It is the principle of marketing: You get something for free, then you want more, then you pay and you are stuck in the viscous syrup. The next step is that you pull others in. It is like in an epidemic; in one moment we are being infected, we are the victim, and in the next moment we infect others, pull others in. It is the vicious cycle of wealth, of richness, of success. What is this sweetness that we are so addicted to? It is the sweetness of love. Love is the essence in all things. Love is the core, the universal currency. Sugar seems to represent this on the physical level. It is love, bliss and abandon that we really crave. It is love that shows us the way home into connectedness. It is our yearning to be connected. Love means being connected. In sugar we feel blissful for a moment, as if we would be connected, but it is a lie. We end up weak and disconnected. Sugar covers up that pain of being disconnected. Yet it is exactly that pain that is the gateway to the path home. Going into that pain we discover our desire for love, for connectedness. When we live that desire, when we open up into that yearning, the path opens up. When we cover up the pain with sugar, the path is gone. We won’t even be able to find the gateway. We’ll stay behind, craving and craving again sugar and its instant gratification. We got stuck in the sticky glue of the molasses like the fly on the flycatcher. But help is on its way: diabetes. The breaking down of the organs telling us that we are on a dead end road. Now I find myself on a crossroads: Do I trust the wisdom of my organs and turn around, or do I ignore the cry of the organs, take medication, do halfheartedly a little diet and once in awhile some exercise? Do I put new lies on top of the old ones and use sugar replacements in order to keep going in the old direction a little longer, still focused on food rather than soul food? Sugar is the trap. The soul’s yearning is the path.